The Bjurman Funds seems to be doing everything right. With performance up, the Los Angeles firm has been working to pump up assets under management -- and it's worked. On March 31 of 2000, Bjurman had $23.1 million in assets under management in its Bjurman Micro-Cap Growth Fund. A year later, that number has soared to $166.2 million, spelling an increase of over 700 percent. T. Michael Graf, senior vice president at Bjurman, does not attribute the gain solely to performance-inspired media coverage. "I'm marketing the fund aggressively to a lot of institutional people," said Graf. "Schwab's clients are heavy contributors. Fidelity does about a third. TD Waterhouse does about 20 percent." Graf has hit the pavement hard, making a lot of calls and hoofing it with president Andy Bjurman to regional conferences around the country. "We went to the Rukeyser Conference in Las Vegas and the Money Show in Orlando, Florida. We went to Financial Fest Denver in mid-March, then again at Newport Beach in late March," he said. "Regionally, we're getting the name out among a lot of people." The Micro-Cap Fund is no-load, so brokers net only the 12b-1 fee. Even so, brokers seem hot to sell the fund to clients, finding value added in a fund that has beaten the odds in a downturn. Bjurman backs up that confidence with the assertion that its screens caught the overvaluation of its tech holdings early last year, so the fund dumped most of those stocks before it got dumped on. Although Graf started with Bjurman in 1970, he left in 1984 to start his own firm, returning only in July of 1999. "Basically, our main thrust is institutional portfolio management, so the fund was something like $14 million," explained Graf. "It wasn't really being aggressively marketed." Graf has certainly changed that, although the firm operates with no marketing staff to speak of. 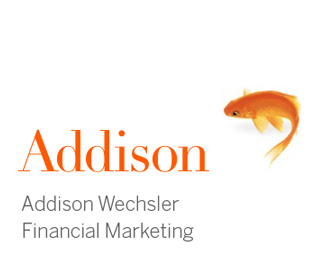 He himself is a portfolio manager but heads the marketing effort because "I'm the only one that carries the license to sell mutual funds." Bjurman is not-so-slowly reaching its capacity within its lone fund. "We're closing it to new investors at $250 million and we think that'll be this year," said Graf. "We only have about $80 million to go." 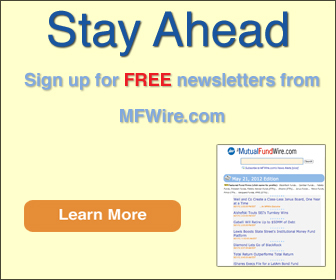 "We are going to bring a no-load all cap fund later this summer, somehwere between four and six months," said Graf. The modest but aggressive marketing effort will undoubtedly fill the Micro-Cap Fund to capacity, but the sky's the limit with an all cap fund. Will that be time to start hiring a marketing team and bring on wholesalers? Expansion will have to wait until Bjurman has a better chance to assess its place in the market. Furthermore, Graf is dubious of the role wholesalers could play for the firm. "With a no-load situation, you've got to be careful because, who do wholesalers see? It's something we're going to have to look at," said Graf. "Obviously, we're hoping that the success of the micro-cap fund spills over into the success of the all-cap fund." In the meantime, Graf is bear hunting with both barrels loaded: Bjurman has starting offering separate accounts based on the micro cap discipline and is working on cultivating sub-advisory relationships.